Assisted living facilities require software solutions to manage the wellbeing, security, and satisfaction of their residents. Assisted living software is used to improve communication with residents and their families, as well as to increase the quality of the services delivered. It also helps assisted living facilities with personnel scheduling, resource allocation optimization, and to document the services provided. Assisted living software also ensures compliance with health care and safety regulations. Some solutions provide electronic health and medical record systems specifically designed for assisted living facilities. For optimal business results, assisted living software needs to integrate with back office software like accounting or CRM. Integration with electronic health records solutions to import patient health data is also provided by most solutions. Assisted Living reviews by real, verified users. Find unbiased ratings on user satisfaction, features, and price based on the most reviews available anywhere. 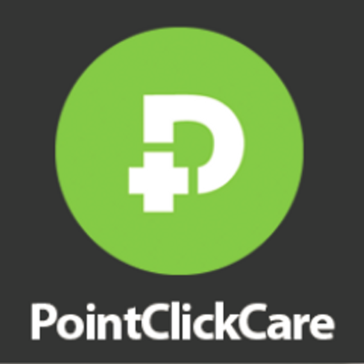 With PointClickCares Marketing solution, you can better manage the pre-admission process, resulting in improved occupancy rates. 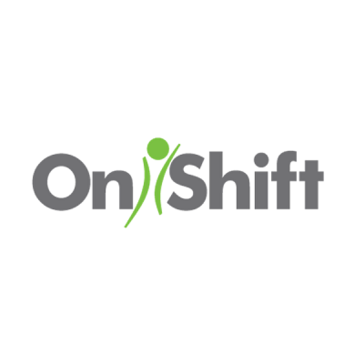 Expedite the review process with a communication tool that automatically tracks pertinent clinical and financial information to help you improve information sharing with referring providers. Youll also have the ability to verify insurance eligibility in real-time, ensuring all boxes are checked prior to admitting a new resident. TheWorxHub by Dude Solutions is a cloud-based maintenance management solution designed specifically for both healthcare organizations and senior living communities. Its suite of applications helps users coordinate activities and supports communication between every department. The solution allows operations professionals to manage maintenance tasks, assets, inventory, capital forecasting and more. The system is also compatible with any mobile device or tablet. TheWorxHub is completely modular, so companies can pick and choose which features they want rather than having to purchase a full system. When a user submits a request, it is logged and can be tracked until it is resolved. It also notifies staff when any compliance-related tasks need to be performed, to ensure that all required safety standards are met. Anyone accessing the system can see what parts have been ordered, what work needs to be done on which pieces of equipment and much more. ResiDex offers complete solutions for managing housing and clinical care, human resource, and billing requirements. Comprehensive, user-friendly software provides automated workflows to help you gain efficiency, ensure compliance and maximize reimbursement for therapy services. Eldermark Software is a senior housing software that offers comprehensive modules including Marketing, Clinical Services and Assessments, EMAR, Risk Management, Billing, General Ledger, mobile offline charting known as Point of Care, Notify Nurse Call, and Cloud Storage. iCareManager is a system for assisted living facilities and long term care facilities that provides features designed to help manage residents information, risks, and keep your facility in compliance. Yardi Senior Living Suite is a platform that helps you manage resident care services, staff efficiency, revenue, and risk with automated workflows and reporting for executives, administrators, clinicians, office staff, sales counselors, and more. abaqis combines resident interviews, observations, record reviews and patient data, allowing you to take action on specific quality improvement efforts. ALIS is a holistic, resident-centric solution designed to aid in the unique real-world challenges of todays senior living communities. ALIS is inviting, self-explanatory and simple to navigate, allowing for ultimate ease in training, implementation and daily use. Built from the ground up as a comprehensive suite, the ALIS modules are in constant communication with one another, ensuring consistent and accurate information company-wide. HCare1 is a long term care solution that provides the ability to securely input, view, process, and print information with resident management, resident care, and financial management to provide an integrated management solution. LincDocs eForms engage users with formatting assistance, contextual field presentation and intuitive navigation. LTC Solution Management Information Suite for assisted living and memory care facilities allows you to track all resident, operational, and financial information with one tool in real-time from any computer, tablet, or mobile device. ADL is an integrated solution that provides a method to record and electronically transfer resident healthcare information from the point of care to anyone within the organization. Admit+ is a digital resident admissions and management platform with ADDs (analytics, decisioning, documents and signatures) for Skilled Nursing and Senior Living. AL ADVANTAGE assisted living software is a "Best of Breed", cloud-based, platform designed by expert senior healthcare practitioners to assist caregivers in providing the highest quality care. Our time-saving “type-once” data entry process saves valuable time, by eliminating unnecessary duplication and errors - allowing resident data to flow seamlessly into key functions, forms and reports within the platform. AL ADVANTAGE (ALA) integrates senior care “best practices” to improve resident care, community and family communications, as well as state-specific compliance. More accurate assessments, care plans and resident billing are accomplished with standardized care wording and customizable care levels. Our automated charting, reports, reminders and alerts free up caregivers to focus more fully on residents’ needs instead of piles of paperwork, which improves patient outcomes. We offer a FREE 30-minute demo to answer your questions. ALChartsPlus is a comprehensive, simple to use documentation system for care planning and managing your assisted living home including medication management and staff scheduling. We keep you focused on providing care. ALEFsys is a web-based, integrated, assisted living software solution designed for administering ALFs with features to help you manage efficiently, liability, care, and your bottom line. Assessment Management System is a platform that helps manage operational performance by providing you with a single system that is capable of locating patients, residents, staff, equipment and inventory via information derived through a variety of wireless locating technologies. Caremerge is a cloud-based coordination platform that keeps your team informed and cohesive through an interface that allows real-time staff interaction and helps manage overall senior wellness. Carevium Assisted Living Software is a web-based resident care management application that provides services for elder care, assisted living, memory care, and more designed for use with mobile tablets at point of care. Clarity Healthcare for CCRS streamlines resident assessments and reporting for complex continuing and long-term care providers. Clarity Healthcare provides a integrated web-based solution for the capture and transmission of assessment data for CIHI reporting on CCRS using RAI-MDS 2.0. Hi there! Can I help you find the best Assisted Living solutions?